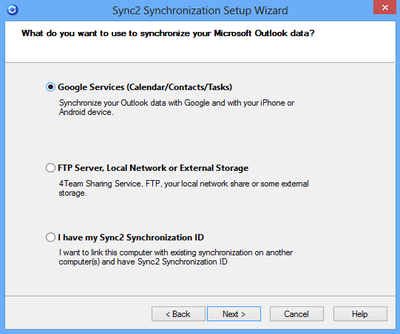 Google Contacts sync with Outlook using Sync2 software. Set up sync Google contacts with Outlook Contacts in just a few clicks using Sync2 and your Google Contacts will be synchronized automatically. Synchronize Google contacts with any desktop version of Microsoft Outlook. 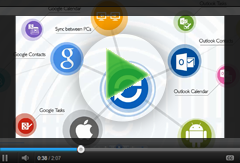 Install Sync2 on your PC and start synchronization straightaway. Set up Google Contacts synchronization with Outlook in a few easy steps. Sync contacts without creating duplicate items. Use Sync2 to prevent creating any duplicate contacts while synchronizing your Contacts folders. Click “Finish” to start synchronization immediately or configure advanced synchronization options. A few moments later your contacts will be synchronized. Thousands of customers worldwide trust Sync2 Google Contacts synchronization software.